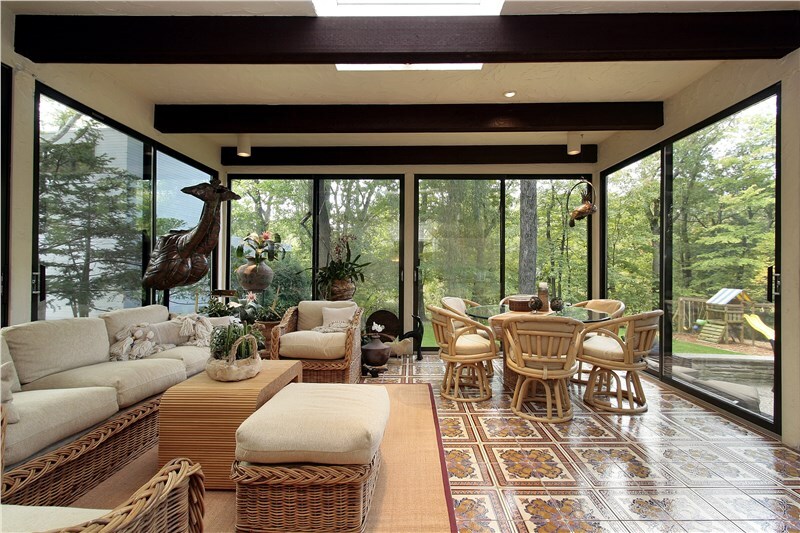 Have you long dreamed of adding a sunroom or other addition to your home? If so, you shouldn’t settle for a cookie-cutter version. C-Thru Sunrooms offers customers the ability to design their ideal sunroom. Our sunroom additions are an extension of your home—that’s why we use our expertise to create an indoor and outdoor entertaining space for year-round enjoyment. At C-Thru Sunrooms, our talented designers will work with you to create your one-of-a-kind addition. In fact, each of our sunrooms is manufactured per specific Auto-Cad design drawings so that we can accurately and consistently produce custom designs based on your taste in materials and size preference. You can also rest easy knowing that we fully engineer our products for each specific site with a state stamp and full IAPMO Evaluation Report. Don’t let yourself become overwhelmed by the design process when you choose to build a glass sunroom or conservatory. Instead, contact the professionals at C-Thru Sunrooms and let our professionals walk you through each step. You can call to speak with one of our representatives about your goals, or we can provide you with a complimentary project quote after you submit our online form.